FOUR MORE ACRES OF FUTURE PARKLAND PROTECTED! Over four more acres will be added to Eno River State Park later this year thanks to a recent land purchase by the Eno River Association. The nonprofit land trust purchased the property, located in Durham County on Sterling Drive, from local landowner Sylvia Freeman on June 3. The Association hopes to transfer the land to the state for inclusion in Eno River State Park by December 2013. With mature hardwoods, scenic views, and outstanding wildlife habitat, the purchase represents an important acquisition for the organization. This part of the Eno is designated as a Significant Natural Heritage Area by the North Carolina Natural Heritage Program, partly due to rare mussels like the Atlantic pigtoe, Yellow lampmussel, and Eastern lampmussel that live there. 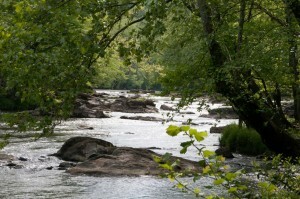 The land is surrounded by Eno River State Park and includes 500 feet of river frontage. Once added to the park, it will become part of an uninterrupted eight-mile stretch of protected land along the river. The adjoining land was sold to the Nature Conservancy in the 1970s and was among the first to be included in Eno River State Park. 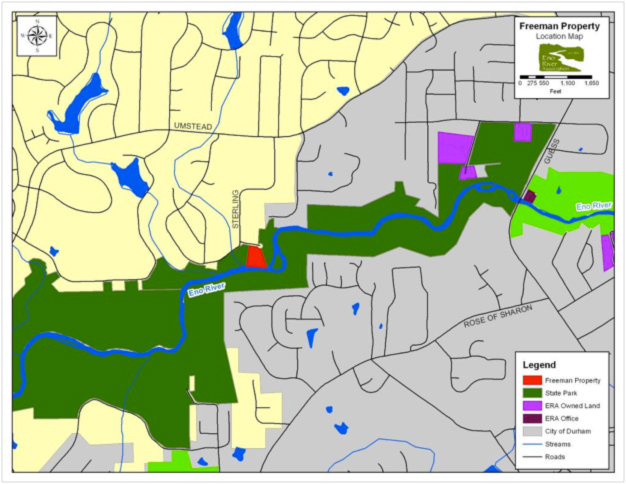 Acquiring the parcel has been a priority for the Eno River Association ever since.The Eno River Association is a nationally accredited land trust that has been working on land and water quality conservation in the Eno River Basin for more than 45 years. 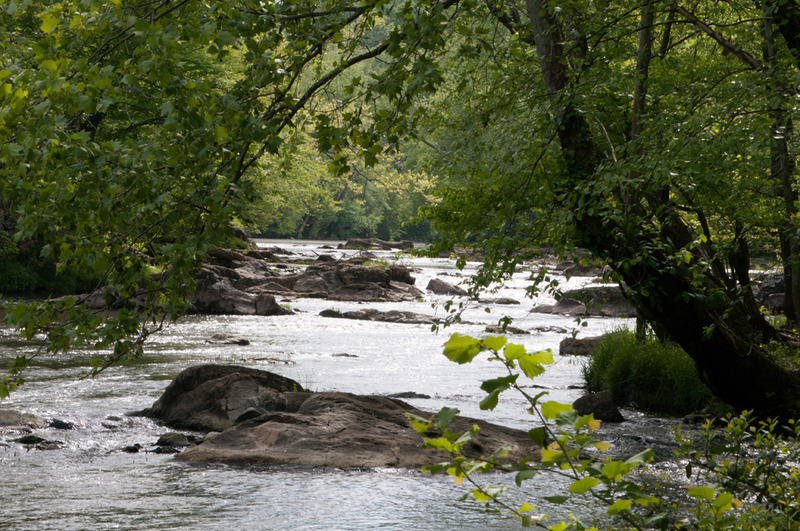 The group was instrumental in creating the Eno River State Park in the early 1970s and continues to expand park holdings and protect other areas important to water quality and wildlife throughout the Eno River basin. The Association has conserved more than 6,700 acres in the watershed and helped protect five public parks used by over a half million residents and visitors each year. For more information about the Association’s conservation activities contact the Association Office at (919) 620-9099 or by email at land@enoriver.org.